Volunteers responded last night around 9:10 for a vehicle fire by the storage units located behind the Home Depot in Panorama. 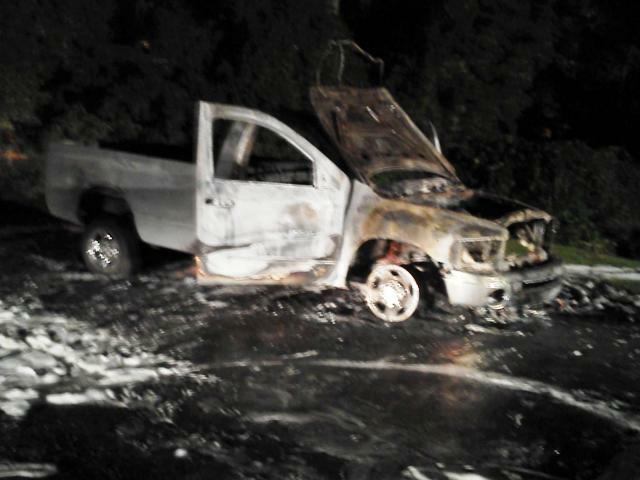 Firefighters found a fully involved pick up truck in the rear corner of the property. Luckily the vehicle was far enough away from the storage units and did not effect the building. Firefighters were out for awhile as investigators tried to determine the cause.